"The Mahi Mahi" comes with a full kitchen, 1 full bathroom with walk in showers and sleeps up to 4 people with 2 full queen beds. Perfect for a nice quiet vacation with a loved one! "The Redfish" comes with a full kitchen, 1 full bathroom with walk in showers and sleeps up to 4 people with 2 full queen beds. Perfect for a nice quiet vacation with a loved one! "The Sailfish" is our largest unit with a full kitchen, 2 full bathrooms with walk in showers and sleeps up to 7 people with 3 full queen beds and a single bed. Perfect for a family! 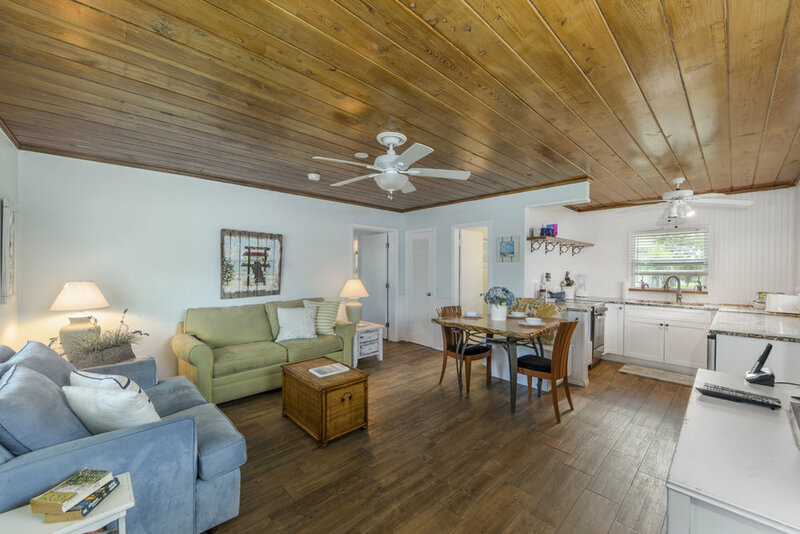 Bay Breeze Cottages is an Old Florida Charm Boutique Resort located on historic Anna Maria Island. Bask in the endless sun all year long, take a swim in our private heated pool with your favorite beverage, or head out anywhere on the island in our street legal gas powered golf carts to any of the local restaurants, piers, sand white sand beaches, and all other attractions the island has to offer. 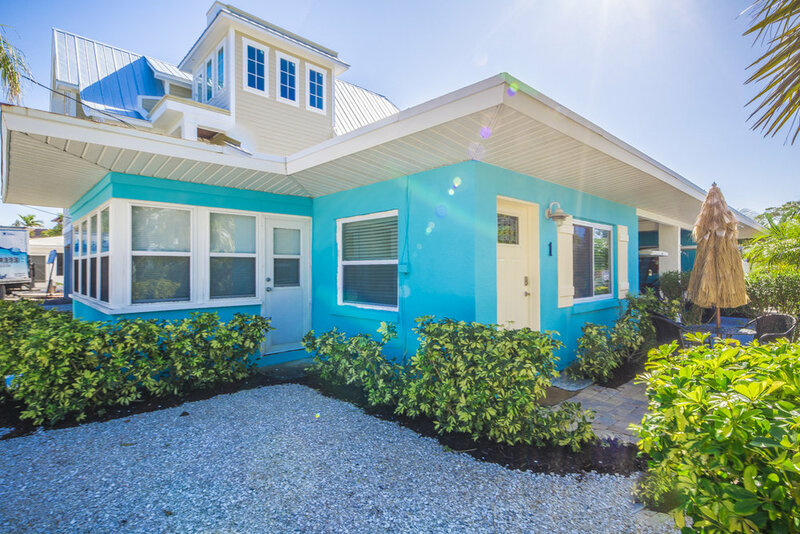 Bay Breeze Cottages on Anna Maria Island is unique is it's Old Florida Charm feel matched with entirely updated and renovated units complete with full kitchens and bathrooms. Upscale furniture and amenities surround you. We even offer street legal gas powered gold carts that can be taken anywhere on the large island of Anna Maria! Bask in the endless sun all year long, take a swim in our private heated pool with your favorite beverage, or head out anywhere on the island in our street legal gas powered golf carts to any of the local restaurants, piers, sand white sand beaches, and all other attractions the island has to offer! 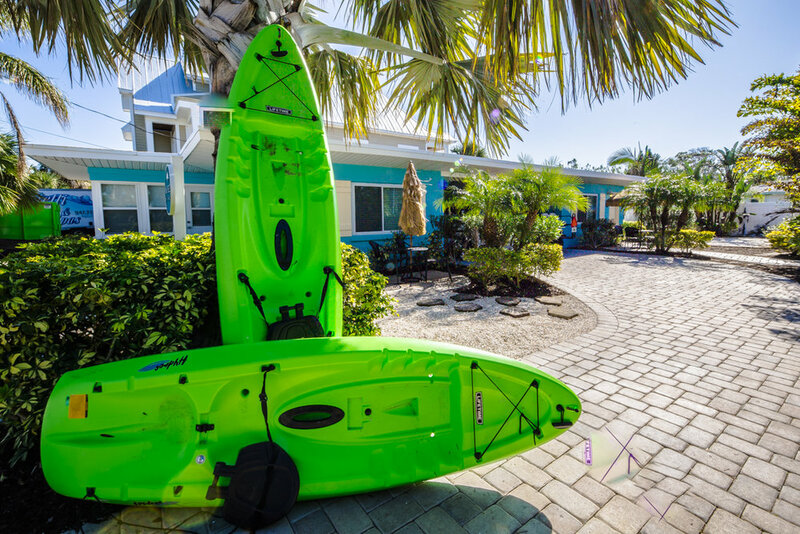 Bay Breeze Cottages on Anna Maria Island offers full functioning kitchens, bathrooms, wifi, satellite tv, paddle boards, kayaks, gas powered golf carts to cruise around the island and much much more. Our pool and cabana area has a large shallow swim out area for small children and the elderly. We also have a swim up island bar in the pool with a cabana umbrella perfect to enjoy your refreshing beverage while wading in the heated pool. "The Marlin " is our largest unit with a full kitchen, 2 full bathrooms with walk in showers and sleeps up to 7 people with 3 full queen beds and a single bed. Bring the whole family or travel with your best friends in our Deluxe Cottage. Receive special deals and updates from Bay Breeze Cottages! Home - "The Mahi Mahi"